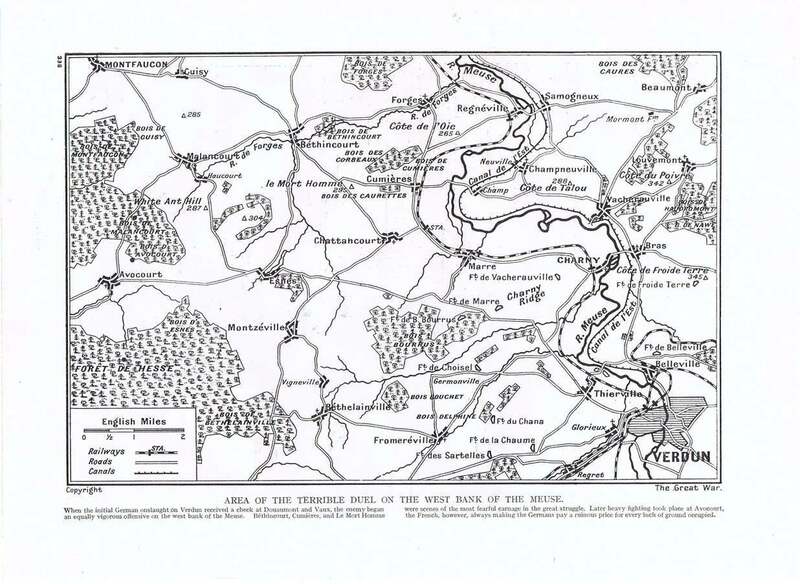 In 1980, a German military historian conducted a series of interviews which were used in a documentary on the Battle of Verdun. The documentary itself is largely forgotten. There never was a VHS version and it has not been shown on TV for at least 20 years. I have been searching for ages to get a copy of it. Yesterday a friend of mine told me he had found a copy which he had recorded on VHS. Due to this I am now able to present these interviews (without the framework documentary they were embedded in) on my blog. As subtitling and translating is very time consuming I only did four interviews right now. Will add more at a later date. Today all of these men and all other German veterans of World War 1 have joined the ranks of the Great Army. Material like this that should be preserved and shared. I hope you will enjoy these clips as much as I do. Feedback is welcome. …. They had conquered a notorious hill. They had lived in trenches that had been alternately French and German. 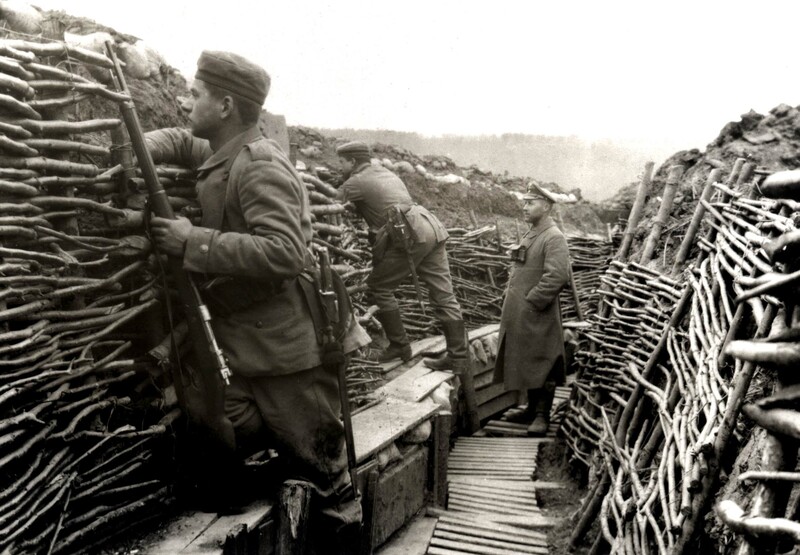 These trenches sometimes lay filled with bodies in different stages of decomposition. They were once men in the prime of their lives, but had fallen for the possession of this hill. This hill, that was partly built on dead bodies already. 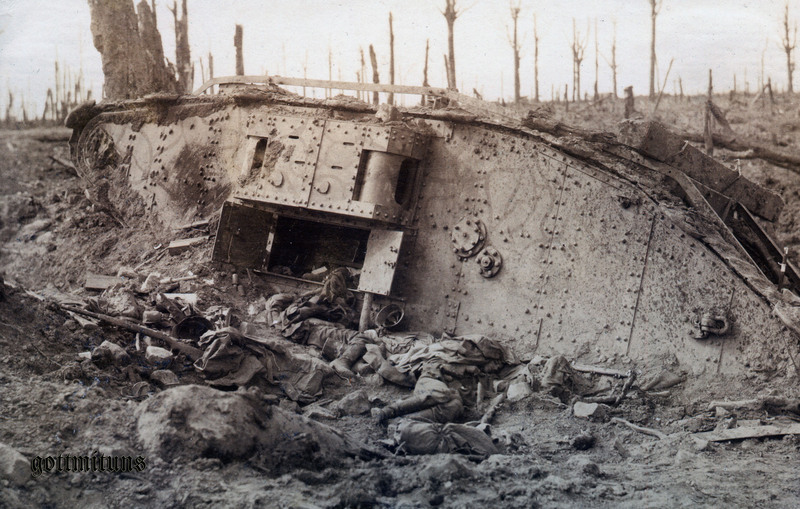 A battle after which they lay rotting, fraternally united in death…. I say good-bye to you, my dear Parents and Brothers and Sisters. Thanks, most tender thanks for all that you have done for me. If I fall, I earnestly beg of you to bear it with fortitude. Reflect that I should probably never have achieved complete happiness and contentment….Farewell. You have known and are acquainted with all the others who have been dear to me and you will say good-bye to them for me. And so, in imagination, I extinguish the lamp of my existence on the eve of this terrible battle. I cut myself out of the circle of which I have formed a beloved part. The gap which I leave must be closed; the human chain must be unbroken. I, who once formed a small link in it, bless it for all eternity. The “Musketier” you see in the first clip is Herr Peter Geyr. He was a native of the Eifel (Rhineland-Palatinate) and so he speaks the beautiful dialect my grandmother spoke. 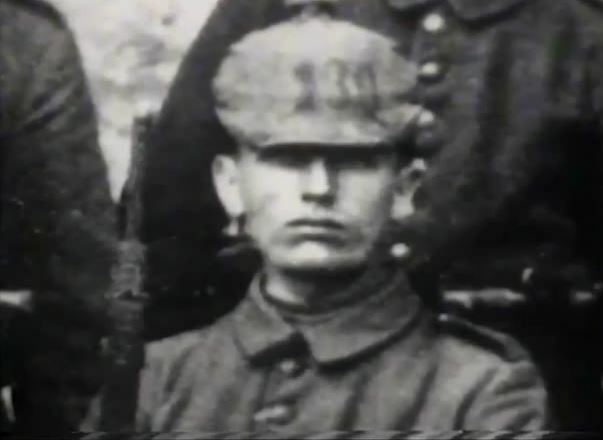 He was born in 1896, served in Infanterie-Regiment “Graf Werder” (4. Rheinisches) Nr. 30 and joined the German army as a volunteer in 1915. He passed away in 1984. The following film shows Unteroffizier Ernst Weckerling. 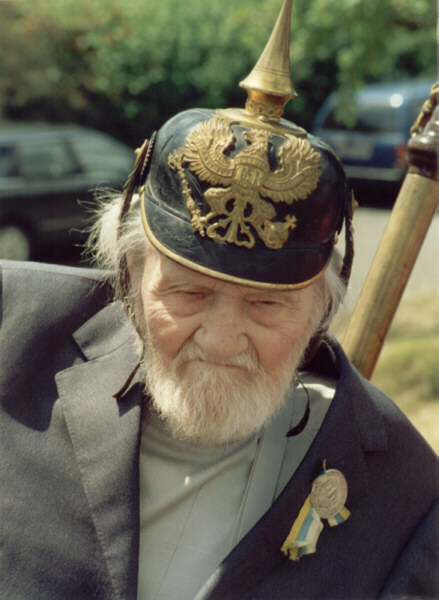 He is probably the most well known German World War 1 veteran as he made an appearance in the PBS documentary “People’s Century”. 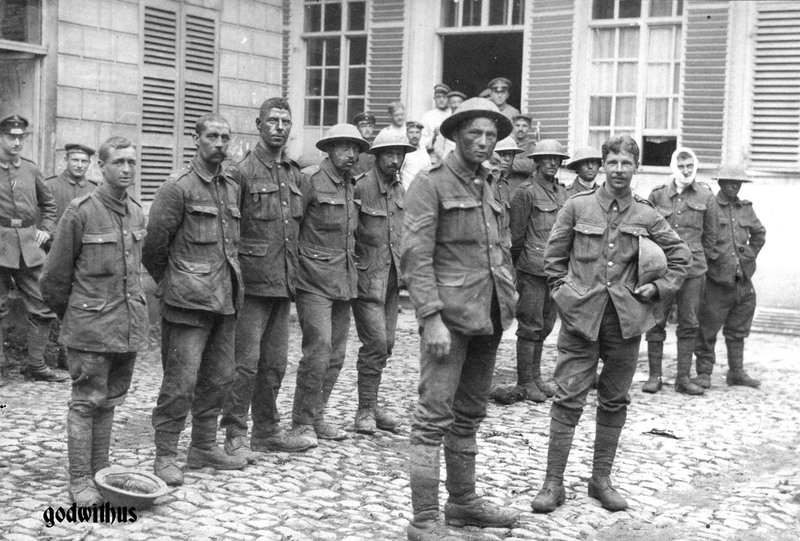 Weckerling volunteered on August 14, 1914 and was part of the German forces that, at terrible cost, sought to “bleed the French army white” at Verdun. 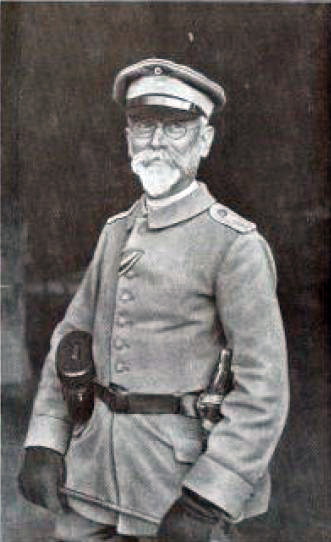 In 1916 he was holding the rank of Unteroffizier in Füsilier-Regiment von Gersdorff (Kurhessisches) Nr.80. His story of the “Potatoe Helmet Spikes” is just brilliant. You will not find thing like that in the history books. The next one was hard to transcribe. Herr Ernst Brecher was a Musketier in 3. Thüringisches Infanterie-Regiment Nr.71 which fought at Verdun as part of 38th Division from May to October 1916 before being moved to the Somme. Herr Heinz Risse served as artillery observer in a Regiment of Field Artillery and tells us of his experiences in the fighting around the village of Fleury. He died on the 17th of July 1989 in Koblenz. Johannes Kanth was born in 1896 and served as a Gefreiter in 1. Lothringisches Infanterie-Regiment Nr.130. 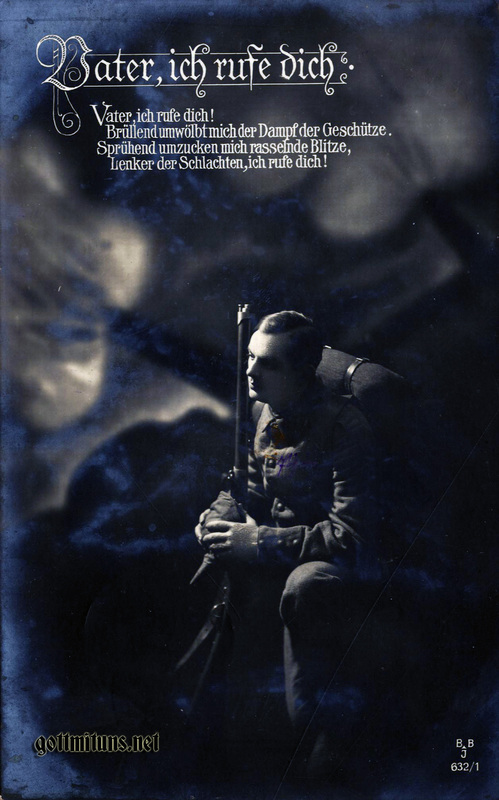 Musketier Heinrich Dorn, served in a German Infantry Regiment and was drafted in 1916. Egloff Freiherr von Freyberg-Eisenberg-Allmendingen was a former 3. Garde-Regiment zu Fuß officer originally commissioned on the 27th of January 1906. He was born in Allmendingen on the 3rd of October 1884 and died there a hundred years later on the 11th of February 1984! He served with 3. G.R.z.F. for most of his early career before receiving flight training with Flieger-Abteilung 1 from 1st May 1912 onwards. He remained in the Reichsheer after the war retiring in 1930 as a Major. Reactivated on 1 Oct 1932 as an Oberstleutnant, he eventually rose to the rank of Generalmajor on 1st June 1938 before finally retiring on the 31st of October 1943. He spent his war service as the District Airfield Commandant at Kolberg. 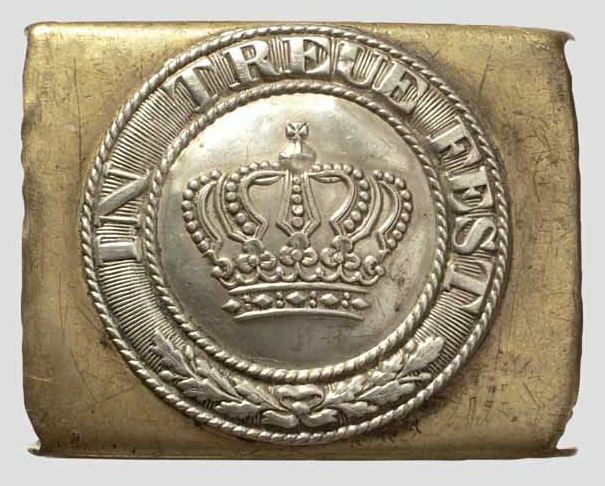 Mecklenburg-Schwerin Friedrich Franz Cross 2nd Class. He held a Prussian Crown Order 4th Class from before the war, and was a Knight of the Maltese Order. 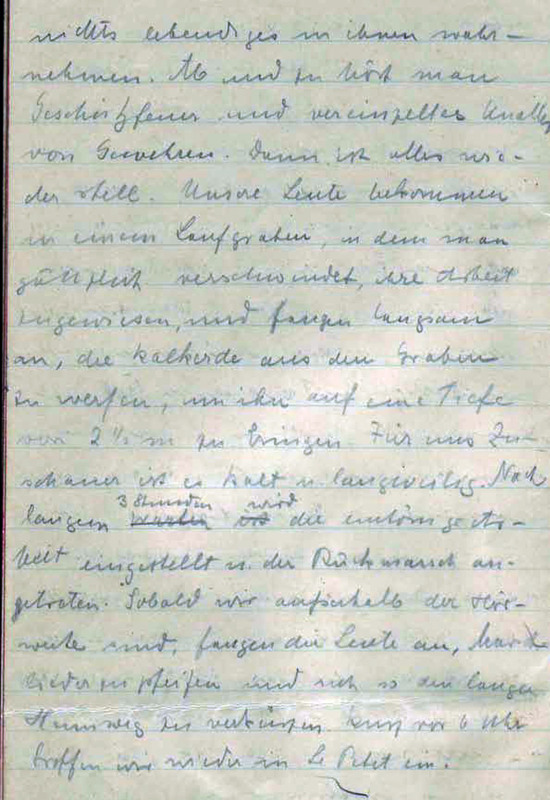 A while ago I wrote some lines on Twitter about germany’s youngest soldier to be killed in World War 1*. No one seemed to have heard about him. The same probably applies to Caspar René Gregory, its oldest volunteer. As he was a fascinating character I decided to write this short bio. I had to dive into some theological history to write it which was not easy at all (for me). Details on his military service (which is probably the part anyone will read, ignoring the rest) were far easier to find and evaluate. Gregory was born in Philadelphia. His ancestors had been Huguenots, his grandfather had come to the New World following General Lafayette and had fought in the American War of Independence. After finishing school (a private school owned by his father), he studied theology at two Presbyterian seminaries: in 1865-67 at the University of Pennsylvania and at Princeton Theological Seminary (1867–73). In 1873, he decided to continue his studies at the University of Leipzig under Constantin von Tischendorf, to whose work on textual criticism of the New Testament he had been referred by his teacher, Ezra Abbot. He administered the scientific legacy of Tischendorf, who died in 1874, and continued his work. In 1876, he obtained his PhD. with a dissertation on Gregorè the priest and the revolutionist. The first examiner for it was the historian, Georg Voigt. To earn money he worked as auxiliary to the english protestant community in Leipzig. As a text critic, his scholarly work was in analyzing the textual variations in the many early manuscripts and early translations of the New Testament in an effort to recreate the original text. Working in a time when hundreds of manuscripts were being discovered, published, and analyzed, he brought a sense of order and structure to all the differing systems of identification. His classification system of these manuscripts (Die griechischen Handschriften des Neuen Testaments, 1908) is the system in use throughout the scholarly world today. Close to his interest in analyzing the text was his interest in understanding the history of the “canon,” the list of the books regarded as Scripture. In the early years of the Christian church, different regions preferred different collections of apostolic writings for their guidance and edification. Gradually the need for an authoritative list emerged. For centuries that list was only known from a letter of Athanasius, Bishop of Alexandria, dating to 367. In 1740, however, Ludovico Antonio Muratori published a manuscript from the Ambrosian Library in Milan that included what has come to be called the Muratorian Canon. The list was thought to date from the second century, although that dating has been challenged. But the list is controversial. It includes the Gospels and many of the Epistles now in our Bible, but it does not mention Hebrews, James, or Peter and identifies two additional Epistles as being falsely attributed to Paul. He completed his post-doctoral work in Leipzig in 1884, and became an associate professor in 1889 and a full honorary professor in 1891. He apparently had several doctorates: Karl Josef Friedrich even mentions five doctorates in his biography of Gregory. At least one doctorate in theology obtained in Leipzig in 1889 is attested. Together with Rudolph Sohm and Friedrich Naumann he was one of the founders of the National-Social Association, a party based on the principle of Socialist Christianity. The party failed in the elections of 1898 and 1903 and was then dissolved into the Freeminded Union. Gregory was also a member of the Sängerschaft Arion-Altpreußen (a german student corps) and a Mason (Apollo Lodge in Leipzig). He loved travelling; in 1886 he travelled to Constantinopel for some theological studies. From there he journeyed back to the USA to marry Lucy Watson Thayer, the daughter of Joseph H. Thayer, during a brief stay of only five days. One of the reasons he chose Leipzig as residence what its central position within Europe. From there he visited all european capitals and even travelled the Holy Land, which he crossed on a pilgrimage on foot! During these stays he always made brief trips back to germany to teach and to obtain further information for his research trips. He loved the Germans (and the Saxons in particular) as they had welcomed him as one of their own and when in 1881 he became a german citizen he honored that by becoming more german than them. People loved him, as he was very courteous and full with american temperament and a winning personality. He was highly intelligent and tough, strengthening his body by regular, daily exercise. His christian charity became legendary. Everyone in Leipzig knew him. He used to travel the city on foot greeting everyone. No matter if it was the poor beggar on the street corner or the rich merchant or industrialist. At one instance he helped a german farmer to catch dozens of escaped chicken all around Leipzig railway station. He kept offering advice and help to a student that mistook him for the library clerk without rectification and once paid the studying fees for a poor student whose family could not afford them anymore. When War broke out in August 1914, the “American-German” Gregory was well-known and respected all over the world for his theological work, a prominent citizen of Leipzig and 67 years old. The charming and ever smiling professor took part in the actual fighting. Always cared for and protected by his Saxonian comrades he bravely fought at Dinant, Somme-Py, Lille, Flanders, at the Champagne and Ypres. Soon Gregory, now a Lieutenant, became famous in germany and his 70th Birthday was celebrated in big style. 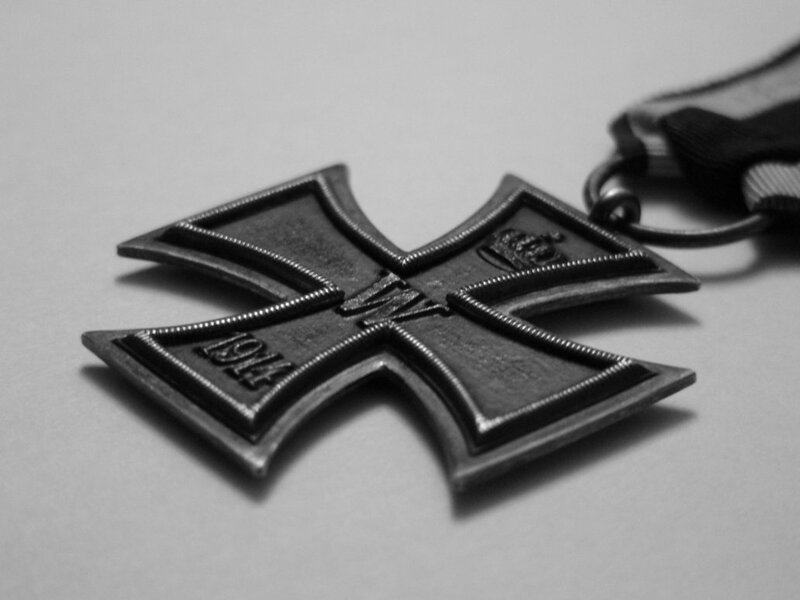 The Empire awarded him with the Iron Cross 2nd Class while the Kingdom of Saxony gave him the Friedrich-August-Medal in Silver. 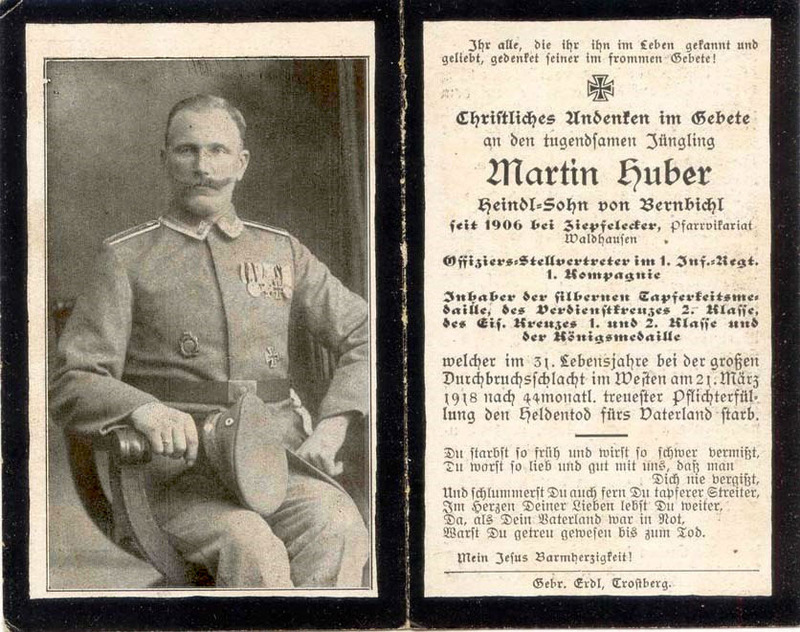 On the 13th of October 1916 he was given the post of Burial Officer (officer in charge of military burials and cemetarys) of the 47th Landwehr-Division. His office was now situated in Neufchatel-sur-Aisne. At the end of March 1917 Gregory had a riding accident when is horse had bolted and thrown him out of the saddle. Confined to bed he was unable to get himself to safety when the village was hit by an allied artillery strike on the 8th of April 1917. Severly wounded Gregory died, in the country of his ancestors, one day later. A highly honored and interesting character. 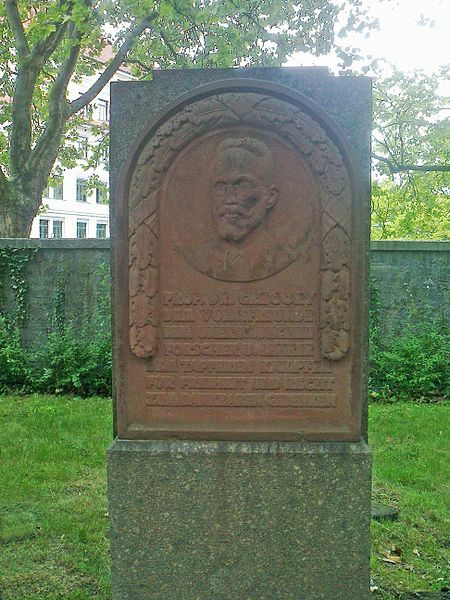 His memorial can be found in the city of Leipzig up to today. Ernst Barnikol (1966) (in German). “Gregory, Caspar René “. In Neue Deutsche Biographie (NDB). 7. Berlin: Duncker & Humblot. pp. 27–29. Friedrich Wilhelm Bautz (1990). “Caspar René Gregory”. In Bautz, Friedrich Wilhelm (in German). Biographisch-Bibliographisches Kirchenlexikon (BBKL). 2. Hamm: Bautz. col. 344. ISBN 3-88309-032-8. Bruno Hartung: Caspar René Gregory, in: Das Jahr des Herrn: Kalender für die evangelischen Gemeinden Leipzigs 5. Jg. (1929), S. 36-38. My last blog entry in 2012! This fantastic photograph is in the collection of a friend of mine. He bought it with a lot of other WW1 photographs on a boot fair in Dresden a while ago. 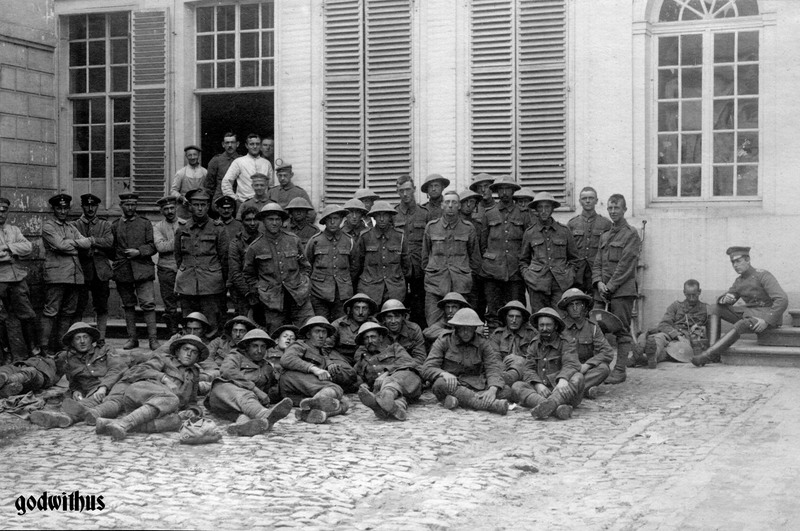 It was taken on the 31st of December 1915. Today – 97 years ago. From that we know that he was born on the 22nd of January 1885 in Dresden where he had worked as a industrial machine operator before the war started. Serving in 12th coy of LIR133, he was killed in the Battles at Styr-Stochod by a headshot on the 27th of June 1916, about half a year after this photo was taken. Stochod and Styr are two of the four major rivers of Ukraine, Russia. He was married to Gertrud Pfefferkorn with whom he had three children. 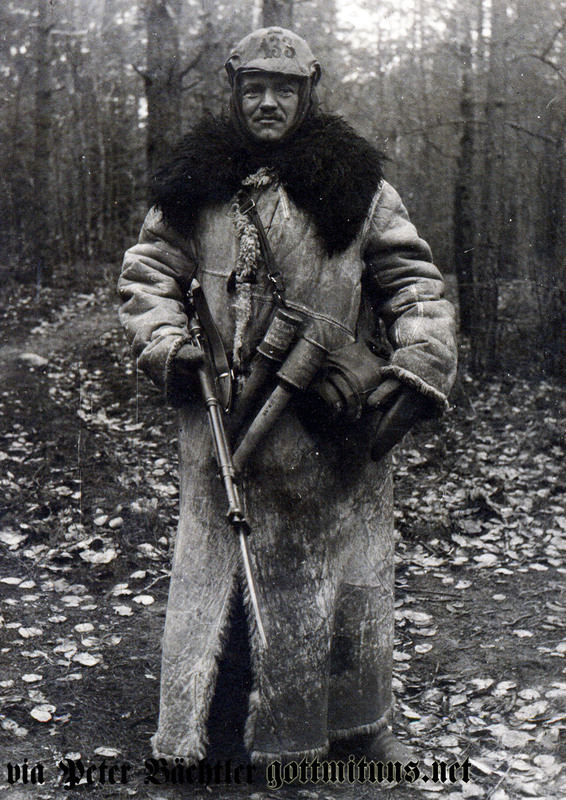 After recieving in military training in Posen he was was transfered to the front on the 15th of October 1915. From the 28th of October to 1st of May 1916 he took part in the fighting on the upper Schtschara-Serwetsch and from the 7th of June 1916 up to his death he fought in the area Styr-Stochod. On the day of his death he was hit by a rifle bullet that pierced his helmet and killed him instantly. He was buried (with other comrades) “below three oaktrees next to the road to Linievka”. His brother Karl Peter, was killed on the same day. 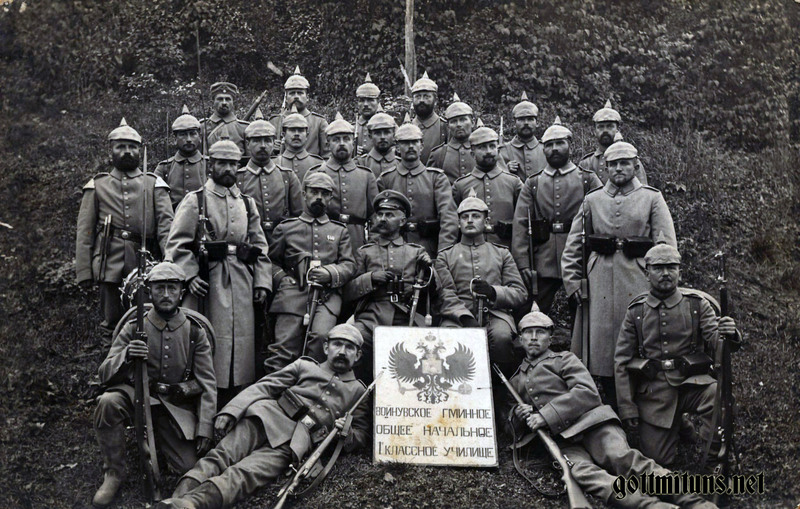 This image shows a group of fierce looking german soldiers of an unknown regiment in Russia. Image was probably taken in 1914 or 1915. I first thought they were posing with a border sign or some military sign. As I can not speak or read russian I found a kind person on Twitter (@outskywalker), who translated it for me. Quite funny, the double headed eagle and the cyrillic writing certainly looks seriously enough to fit the scene and to impress the families at home. I am quite sure they had no idea what the writing said. Round me the terrible lightnings are flashing. Wars great Dispenser, I call Thee! Lord, as Thou willest, so guide me! My God, I heed Thee! Now in the thunder of war I am near Thee. Fountain of mercy, I heed Thee. Thou hast bestowed it, so take it, Defender! Living or dying, oh bless me! To guard the holiest, our swords are smiting. Falling in triumph, I praise Thee. My God, I trust Thee! My life, God, I trust to Thee! 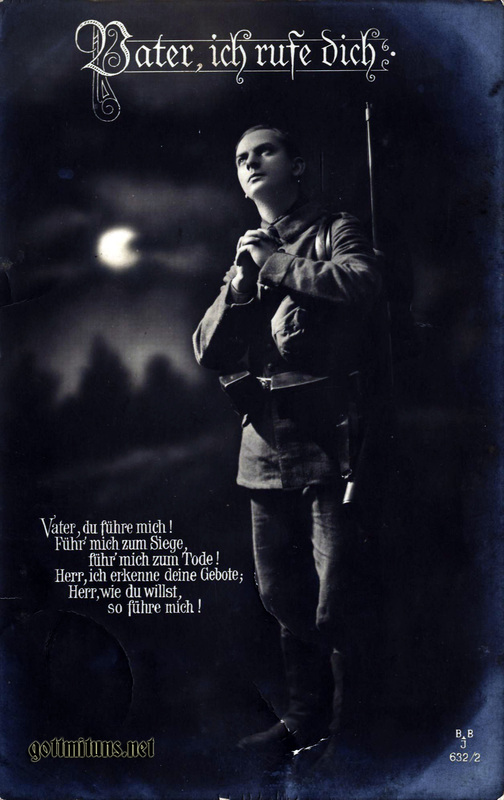 This prayer/poem was written by Theodor Körner during the Napoleonic Wars and stayed very popular in Germany for over 200 years, up to the Second World War. It could be found in soldiers prayer books and was taught in school (as were all of Körners poems). Every child in germany would grew up with these lines in etched into the memory. It was only natural that is was used in propaganda, posters and postcards like the one shown above. The translation above is by Margarete Münsterberg, and was published in A Harvest of German Verse. in 1906. In my personal opinion this version is closest to the original german text. Führ mich zum Siege, führ mich zum Tode. Urquell der Gnade, erkenn ich dich. zum Leben, zum Sterben segne mich.
drum fallend und siegend preis’ ich dich. Gott, dir ergeb ich mich! dir, mein Gott, dir ergeb ich mich! 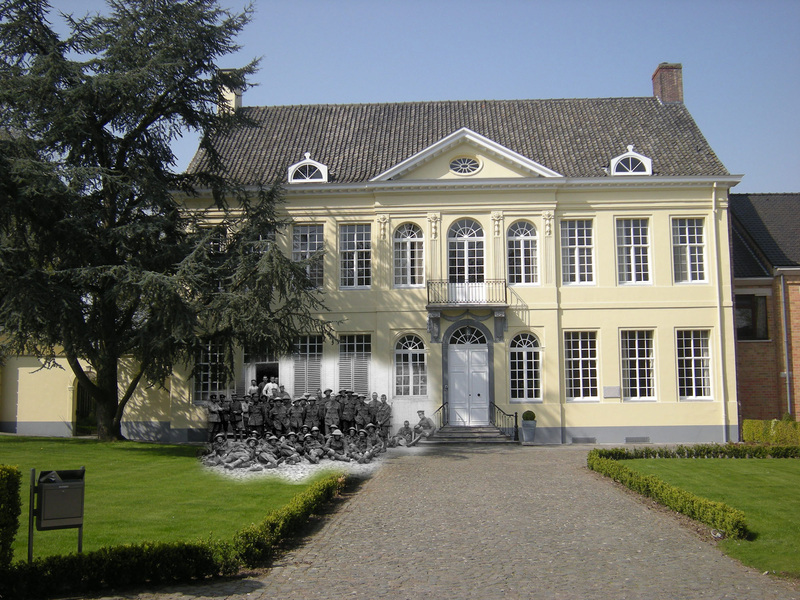 The pair of photographs you see below was taken in Moorsele, Belgium (today a part of Wevelgem) in 1917. I at once fell in love with these two shots as the quality of the images and their setting is wonderful. The Prisoners look relaxed and on the second photograph many of them are smiling aswell. If any of my readers live in the area I would be grateful for some more photographs of the house so I can do another version with a better resolution.